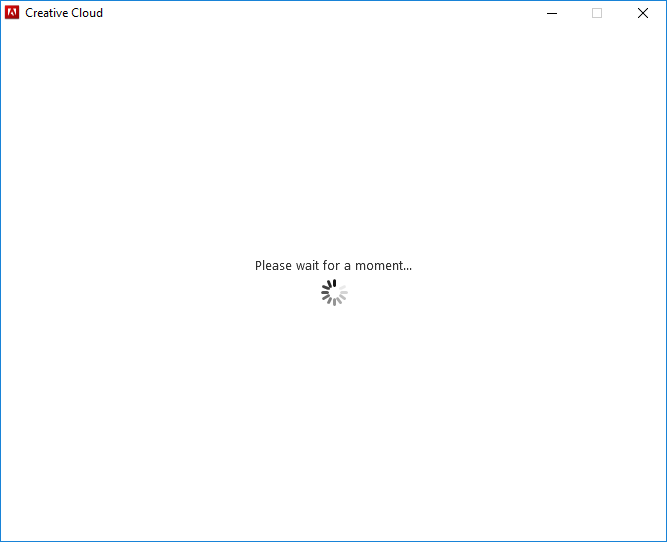 sircles.net Forum » Windows Desktop » Windows 10 » Adobe Creative Cloud Please wait for a moment - forever! Here was our problem - I'm not sure how this had happened but somehow the creative cloud had started using the wrong login - we had to click the 'X' to close and then when it asked if we wanted to cancel say 'No' and then click the cancel button. Then there is an option to use a different Adobe ID for sign-in and so we changed the Adobe sign-in and voila! Thanks for posting this solution - we were stuck with this, and the issue appears to still be the same. If the wrong user name is in the Creative Cloud settings, it just wait forever saying please wait!! Adobe please can you have a look at this!